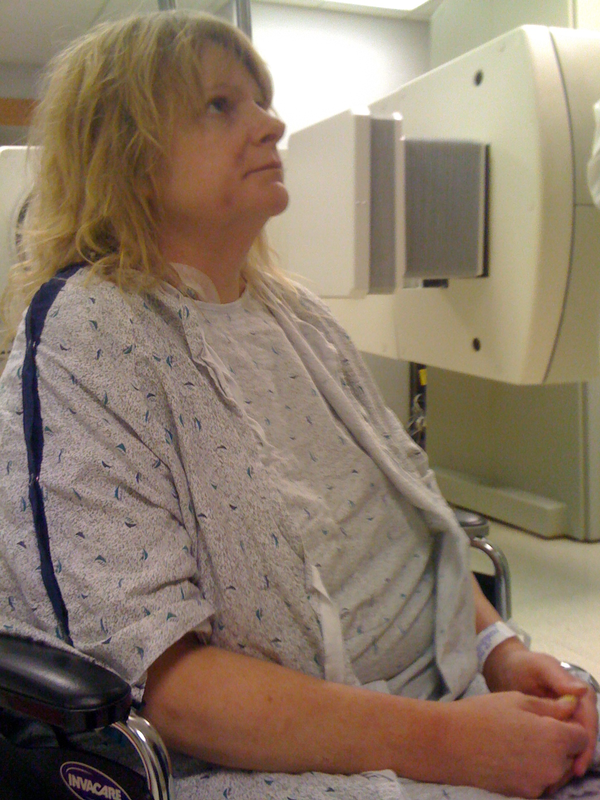 Here’s a photo of Beth, after her final dose of radiation. She’s listening to the Radiation RN talk about what some of the side effects will be. She believes the radiation was worse than the chemo, but the radiation therapists joke with us and say, “that’s just the chemo kicking in”. We still don’t have a straight answer on that one. Beth now has made it through the entire process, not feeling too well, but medically, she’s responding the same way they expect her to respond. She’s got ongoing nausea and diarrhea, and is very tired an achy. But the good word is that we can start to expect that her numbers will start going up.